There are quite a few recording acts that have their roots in Chester County. Nashville has three of them – Downingtown’s Liz Longley and Kate Klim (Downingtown High grads) and Chester Springs’ Anna Wilson (Villa Maria Academy). West Chester has Mindy Rhodes (Westtown School) and Laura Promiscuo (West Chester Henderson). Coatesville has Fred Mascherino (Coatesville High) who has played in Taking Back Sunday, Terrible Things and The Color Fred. And, there is Daryl Franklin Hohl, an Owen J. Roberts grad who went on to international fame as one-half of Hall and Oates (as Daryl Hall). There are two others who frequently slip under the radar – the late singer/songwriter legend Jim Croce and his talented singer/songwriter son A.J. Croce. A.J. 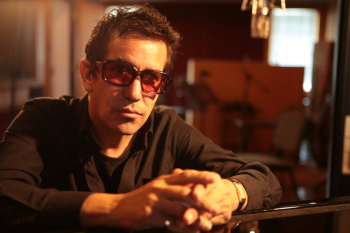 Croce, who now lives in Nashville, will return to the area for a show on August 19 at the World Café Live (3025 Walnut Street, Philadelphia, 215-222-1400, www.worldcafelive.com). A.J. Croce has been inextricably linked to a version of his own story by virtue of his name. He’s experienced a lifetime of comparisons to a father he lost at age two, whose music bears little resemblance to his own output yet still serves as a reference point despite the years that have passed and the many iconic mentors who have stepped in to offer their counsel, creativity, and endorsement throughout his long career. On August 11, Croce released the album “Just Like Medicine” on Compass Records. His gritty and accomplished ninth studio album was produced by legendary soul singer-songwriter and producer Dan Penn and features appearances by Vince Gill, Steve Cropper, the McCrary Sisters and the Muscle Shoals Horns. “Right now, I’m getting ready for 18 months of shows supporting the album,” said Croce, during a recent phone interview from his home in Nashville. “The album got started last summer. I met Dan Penn a year-and-a-half ago. He played a show at the City Winery and he was approachable. I asked him if he wanted to write together and he was up for it. “Dan and I wrote ‘Other Side of Love.’ I brought in another song to do a demo – ‘Cures Just Like Medicine’ — and I wanted it to be mono. We used two-inch, 16-track tape. “Actually, we did all the recordings analog. Most of us listen to music on devices that are like the old transistor radios with just one speaker. The music we made on this album is good for a great listening system or for earbuds. “We planned on finishing it in October but one of the musicians David Hood broke his wrist so we waited for him to heal. We recorded it at Dan’s studio in Nashville – a studio with 75 years of recording history. It’s an amazing studio with great analog gear. “Mixing took a longer time than I expected. When you’re working with tape, mixing just takes a lot longer. The bass and drums were all live – no overdubs. The album has its roots in the past but doesn’t sound dated and isn’t a tribute album. 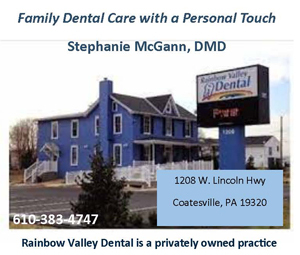 Croce’s roots in Chester County can be traced back to when he was a young boy and his family lived in Lyndell near Marsh Creek State Park — on Highspire Road just up the hill from the Lyndell Country Store. Video link for A.J. Croce – https://youtu.be/_w0oZVeyK-o. The show at the World Café Live, which also features Robbie Fulks, wuill start at 8 p.m. Tickets are $20. Music fans in attendance at the Philadelphia Folk Festival (Old Pool Farm, Clemmers Mill Road and Salford Station Road, Upper Salford, pfs.org/) will have the opportunity to hear a live performance by one of America’s legendary songsmiths – John McCutcheon. McCutcheon made a rare area appearance with a concert in February at The Sellersville Theater and now he’s coming back. Not surprisingly, both gigs are away from urban areas. McCutcheon just published a new book “Flowers for Sarajevo,” a picture book that is accompanied by a CD. The title track was inspired by the story of Bosnia classical musician Vedram Smailovic. “I’ve taken songs that tell stories that kids ought to know,” said McCutcheon. “During the Balkan War, a May 1992 mortar attack killed 22 people waiting to buy bread at a Sarajevo bakery. Then, 24 hours after the attack, Vedran Smailovic, a cellist in the Sarajevo Opera Orchestra, emerges from the building across the street. “Dressed in a tuxedo, he sets up in a crater near the bombed shop and sits down to play this piece of music — Albinoni’s ‘Adagio in G Minor.’ He played at the same time for 22 straight days to pay tribute to the victims and help people recover emotionally. “It was inspiring that someone would do something so beautiful in response to violence. So, I wrote a song – and then I wrote a book about it. The song ‘Flowers for Sarajevo’ is written from the perspective of a young boy who wells flowers in the square. The book finally came out in April. In February, McCutcheon released his latest album “Trolling for Dreams.” It is his 38th album – the same amount released by Bob Dylan. “The songs for ‘Trolling for Dreams’ came in two parts,” said McCutcheon. “Some of the songs were written six or seven years ago. I have this file where I keep different parts of songs – notes that I’ve written on napkins or airplane barf bags. The file has all these scraps. Video link for John McCutcheon — https://youtu.be/Dw2z3EjYQFE. 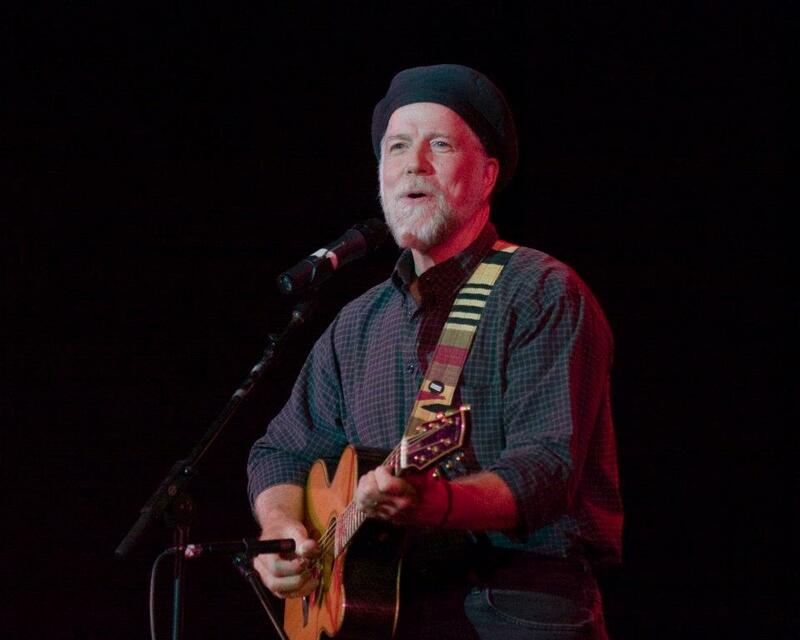 McCutcheon’s live set at the Philadelphia Folk Festival will be in the evening on August 19. The concert, which also features Wesley Stace, RUNA, Cry Cry Cry, Sierra Hull, Larry Campbell & Teresa Williams, Ranky Tanky, Graham Nash, and The Weight Band with The King Harvest Horns, will start at 7:30 p.m. The evening concert on August 20 will feature The Great Groove Band, Tift Merritt, Eric Andersen, Baile An Salsa, Susan Werner, and TajMo: The Taj Mahal & Keb’Mo’ Band. There are few bands in the area that can generate the kind of raw power that characterizes the music made by Soraia. Soraaia, a female-fronted rock/garage/punk/blues-influenced band, is a Philadelphia-based sextet that includes ZouZou Mansour (lead vocals, tambourine), Travis Smith (bass guitar, backup vocals), Mike Reisman (guitar, background vocals) and Brianna Sig (drumd, percussion, background vocals). 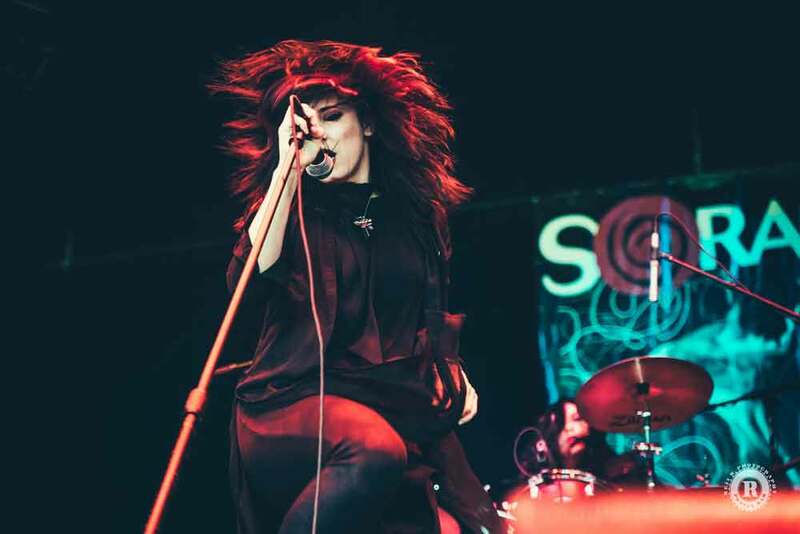 The music Soraia creates captures the essence of gritty blues-influenced rock music — the kind of rock you’d hear in smoky bars back in the 1960s. It’s not a retro-sound but rather a tapping into the emotional nature of the music. Soraia is the stage name of singer ZouZou Mansour and also the name of her band. On August 19, Mansour and her band will play the Barbary (951 Frankford Avenue, Philadelphia, 215-634-7400,www.facebook.com/thebarbary). For the last year or so, Soraia has been playing songs from a yet-to-be-released album. The album “Dead Reckoning” will be released on October 13 on Wicked Cool Records. “We’ve already played a lot of the new songs in our shows this year,” said Mansour. “Last summer, our label people told us to write songs and then play them live. We’ve done it the other way and it didn’t do ad hood. Live is when the magic starts to happen. “Things are going really well with the band. We’ve been touring a lot. Wicked Cool Records is owned by Little Steven Van Zandt from Bruce Springsteen’s E Street Band. 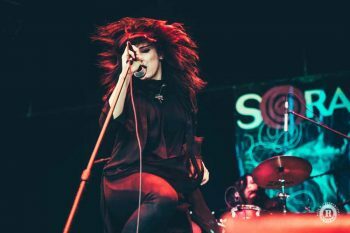 Soraia had been building up songs for the new full-length for a while. “We started writing the songs last summer,” said Mansour. “We sat down to write as many songs as we possibly could. My co-writer Travis and I worked on different ideas we had. In the past, he’d give me a song idea and I’d come up with the music. This time, we spent more time writing together. We’re growing as writers. “We recorded the new album in January at Renegade Studio in New York. Our label really wanted to capture our live sound. We did two songs with Little Steven and 10 with producing ourselves with engineer Geoff Sanoff. It has taken Mansour a while to reach where she wants to be musically. It has also taken years for Mansour to find where she wants to be emotionally. After a period of time that included stretches of drug use, alcohol abuse and being homeless, Mansour got her life back on track. She became one of the survivors. She returned to college and graduated with a teaching degree. Then, she was lured back into the music world by her first love — singing. Video link for Soraia – https://youtu.be/FeFAOyc9rhs. The show at the Barbary, which also features North by North, Ellen Siberian Tiger and RFA, will start at 8 p.m. Tickets are $10. 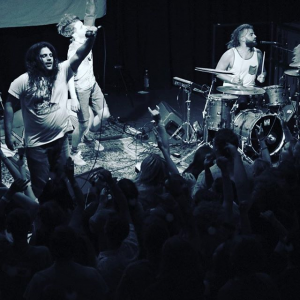 While most people head to the Jersey shore on summer weekends, the opposite is true for Brick + Mortar. The band from the Asbury Park area is coming to Philadelphia on August 19 for a show at MilkBoy Philly (1100 Chestnut Street, Philadelphia, 215- 925-6455, www.milkboyphilly.com). Brick + Mortar is John Tacon and Brandon Asraf. Former middle school lunch time enemies, the two artists overcame their mutual childhood disdain and even played on the football team together at Toms River North High School. More importantly, because of their late-blooming friendship, they have been playing gritty, bright yet sinister, witty alternative pop for inspired audiences since 2008. “We hated each other in eighth grade,” said Asraf, during a phone interview last week as the band was traveling through Texas from a gig in Dallas to a show in Houston. Asraf’s decision to play bass guitar changed the course of his life. While Tacon’s upbringing was reasonably normal, Asraf, on the other hand, grew up “like wolves” amid five siblings in a New Jersey household headed by a conman father. His father’s schemes ultimately tore the family apart. Asraf and Tacon jammed together for many years instrumentally before deciding to try writing songs. Asraf was initially concerned about his voice, but like with everything else, his confidence grew alongside his mastery. The friends released their “Bangs” EP in 2013. Since then, they’ve built their musical resume with singles like “Locked in a Cage,” “Hollow Tune,” and “Train,” which remained on Alt Nations Alt 18 for 10 weeks and peaking at Number 11. “Usually, I work over a long period of time writing a song,” said Asraf. “I move at a pace where a song can develop correctly – where it has time to evolve. “John and I also write together. We don’t have a real formula. When you have a set formula, it gets boring. Our songs are written a lot of different ways. Video link for Brick + Mortar – https://youtu.be/TCs7wuzAKrI. The show at MilkBoy Philly, which also features Thrills, The Moms, and St James & The Apostles, will start at 8 p.m. Tickets are $12.